William Archer was born in Scotland in 1856. He became a drama critic and helped establish the work of Henrik Ibsen. The first of his translations of Ibsen, Quicksands, was performed in London in 1880. His five-volume edition of Ibsen's prose dramas appeared in 1891. In 1898 Archer joined with the actress and writer, Elizabeth Robins, to form the New Century Theatre to sponsor non-profit productions of Ibsen. The company produced several plays including John Gabriel Borkman and Peer Gynt. Archer published the collected works of Ibsen in 1906. 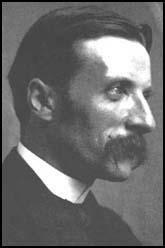 He also supported the work of other progressive playwrights and by the outbreak of the First World War he was considered to be the most important drama critic in London. In September, 1914, Archer accepted the invitation of Charles Masterman, the head of Britain's War Propaganda Bureau (WPB), to attend a meeting to discuss how writers and critics could help the war effort. Soon afterwards Archer joined the staff of the WPB. After the war Archer helped establish the New Shakespeare Company at Stratford-upon-Avon. In his book, The Old Drama and the New (1923), he pressed the merits of Ibsen, George Bernard Shaw and John Galsworthy. His own play, The Green Goddess was also very successful when it was first produced in 1923. William Archer died on 27th December, 1924, during an operation to remove a cancerous tumour.